The M.A. Thomas National Human Rights Award, instituted in 1993, in memory of Rev. Dr. M.A. 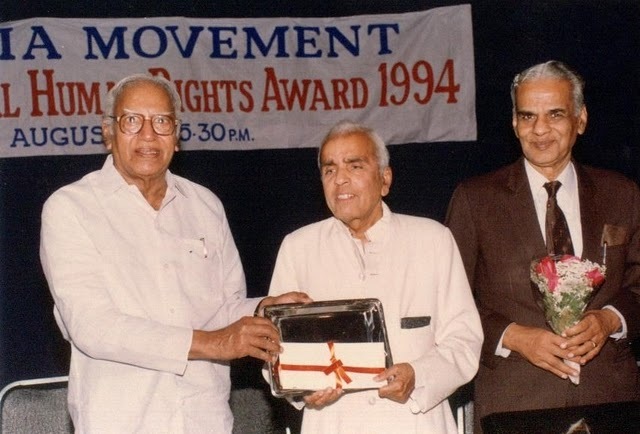 Thomas, Founder President of Vigil India Movement, is given biannually to an individual or institution who/that has made significant contributions in the field of human rights. The award was given annually till 2002. It consists of a citation and a cash prize of one lakh rupees. This award is considered as a significant recognition in the area of human rights in India. M.A. Thomas National Human Rights Award - 2008: Mercy Mathew popularly known as Daya Bai who works among the oppressed Tribals of Madhya Pradesh was presented the twelfth M.A. 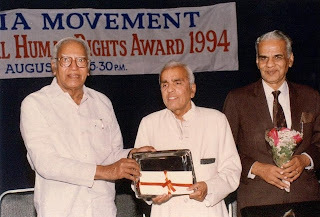 Thomas National Human Rights Award for 2008 by the eminent journalist and human rights activist Dr. Kuldip Nayar at a function in New Delhi. The award honours Daya Bai’s longstanding commitment to the protection and promotion of the rights of the Gond tribals, especially women, in the remote and underdeveloped areas in Madhya Pradesh for the last three decades. Daya Bai is one of the few activists who has vociferously spoken out against the disappearance of girls from the tribal regions. 1995: Mr. Balraj Puri, Civil Rights Activist, Jammu & Kashmir and Dr. C.T. Kurian, Economist, Chennai (shared). Justice. Michael F. Saldanha, Prof. R.L.M. Patil, Justice. Mr. R. Jaisimha Babu, Ambassadar Mr. N. Krishnan, Justice Mr. K.T. Thomas, Mr. Akber Mirza Khalili, Justice Mr. P.P. Bopanna, Dr. M. S. Thimmappa, Justice Mr. N.D. Venkatesh, Dr. M. J. Joseph, Justice Mr. V.S. Malimath, Justice Mr. Nittoor Srinivasa Rau, Mr. T.J.S George, Justice Mr. Jagannatha Shetty, Mr. V.N. 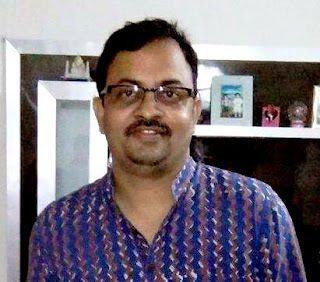 Narayanan, Adv. K. Pratap Reddy, Mr. Kuldip Nayar, Dr. K.C. Abraham, Justice Mr. M. Rama Jois, Mrs. Mohini Giri, Justice Mr. D.M. Chandrasekhar, Prof. U.R. Ananta Murthy, Dr. Mathews George Chunakara, Justice Mr. Alladi Kuppuswamy, Mr. A.G. Noorani, Mr. B.R.P. Bhaskar, Justice Mr. H. Suresh, Dr. K.N. Raj, Prof. M. Basheer Hussain, Justice Mr. M.N. Venkatachaliah, Mr. N. Ram, Justice Mr. E.S. Venkataramaiah, Justice Mr. A. Sambasiva Rau, Mr. C.G.K. Reddy.